Egli Cuenat M., Höchle Meier K. (2016). PluriMobil meets DYLAN – practical resources for supporting intercultural and plurilingual learning in vocational student mobility. In Lüdi G., Höchle Meier, K. Yanaprasart, P. (Hg. ): Managing plurilingual and intercultural practices in the workplace. Amsterdam: John Benjamins. Egli Cuenat, M., Bleichenbacher, L. Frehner, R. (2016). Plurilingual and Intercultural Education in Teacher Training Mobility: Experiencing and Implementing PluriMobil. In: Teacher Education in the 21st century: A Focus on Convergence, Cambridge scholar publishing. Czura, A. (2014). PluriMobil – materiały dydaktyczne wspierające mobilność w szkolnictwie zawodowym. Neofilolog 41/2: 113-126. Egli Cuenat, M., Bleichenbacher, L., Wörle, J. (2014). Mobilität – ein Projekt für sprachlich-kulturelles Lehren und Lernen. In:Trait d’union (61), 3-6. Egli Cuenat, M., Bleichenbacher, L. (2013). 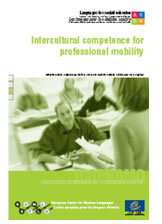 Linking learning objectives of linguistic savoir-faire and intercultural competence in mobility experiences of teacher trainees, in: F.Dervin/A.Liddicoat: Linguistics for intercultural education in language learning and teaching. Amsterdam: John Benjamins, 46-69. Egli Cuenat, M. (2013). Sprachliche und interkulturelle Begleitung. Schulblatt Thurgau 5/13, Schaffhausen. Egli Cuenat, M., Bleichenbacher, L., Frehner R. (in preparation). 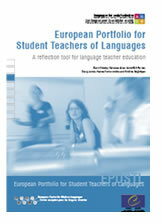 Plurilingual and Intercultural Education in Teacher Training Mobility: Experiencing and Implementing PluriMobil. To appear in: Proceedings of the International Week in Lucerne, 8-10 October 2013. Egli Cuenat, M. (2012). Projekt PluriMobil: Didaktische Materialien zur Begleitung von Mobilität. Trait d'union 58, 8-9. Porczyk-Fromowitz,A. (2011). PluriMobil a promowanie mobilności edukacyjnej (PluriMobil et la promotion de la mobilité éducative/Plurimobil - promoting educational mobility). Języki Obce w Szkole 2. 1.2.3. Egli Cuenat, M. and Conzett A. Begleitung eines rollenden Austausches auf der Sekundarstufe I mit Materialien von PluriMobil (Europarat). Atelier A11, Austauschkongress in St. Gallen, 3.9.2015. Höchle Meier K./Egli Cuenat M. Begleitung des ausserschulischen Sprachenlernens mit dem Sprachenportfolio auf der Se-kundarstufe II. Atelier 5, ESP-Tagung in Bern, 8.9.2015. Czura, A. PluriMobil – Developing learner autonomy in mobility programmes. International Conference: "Autonomy in foreign language learning and teaching: Independent learning inside and outside the classroom"; PWSZ in Konin and UAM in Kalisz. Konin: 12-14 May 2014. Czura, A. PluriMobil – a teaching tool supporting educational mobility. 5. Bundeskongress des Gesamtverbands Moderne Fremdsprachen: “Sprachen und Kulturen im mehrsprachigen Europa. Fremdsprachenlernen zwischen Bildung und Standardorientierung. Pädagogische Hochschule in Freiburg: 25-27 September 2014. Czura, A. „PluriMobil, czyli jak przygotować studentów – przyszłych nauczycieli do udziału w mobilności” (PluriMobil – how to prepare student teachers for mobility experience). The Modern Language Association of Poland Conference „Reflection in language learning and teaching”. University of Wrocław, 9-11 September 2013. 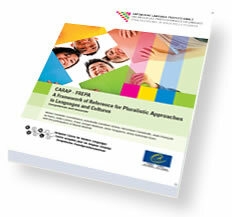 Egli Cuenat, M. PluriMobil’ Project (ECML): supporting mobility for sustainable intercultural learning. 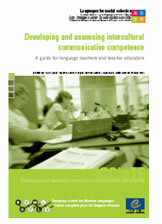 Plurilingual and Intercultural Education in Primary Education. Strasbourg, 22-24.11.2012. Czura, A. 2012. PluriMobil – a chance for enhancing the educational value of mobility programmes. Languages in the Globalised World (LGW). Leeds Metropolitan University. 5-6 September 2012. Egli Cuenat, M., Höchle Meier K. Supporting mobility for sustainable intercultural and plurilingual learning: PluriMobil project (ECML) and DYLAN project. Seminar on Curricula for Plurilingual and Intercultural Education in Vocational Education and Training. Strassbourg, Council of Europe, 11 May 2012. Egli Cuenat, M. PluriMobil – Mobility for plurilingual and intercultural education –Tools for language teachers and teacher trainers. Meeting of coordinators, Graz, 16.11.2011. 12 March 2014 Kristin Brogan, Michel Candelier, Anna Schröder Sura. Albert-Schweitzer-Gymnasium, Hürth, Germany. Planung, Durchführung und Nachbereitung von Austauschbegegnungen mit PluriMobil und REPA. 29 August 2013 Michelle Vella Gobey. The University of Heidelberg, Germany. The one hour presentation was held for teachers and lecturers of German as a foreign language coming from various countries such as the Canary Islands, Armenia, Russia, England and China amongst others with the aim of familiarising the participants with the publications of the ECML (especially ELP, AIE and Mirrors and Windows) and giving a practical and hence realistic picture of how to go about organising a mobility programme using the Plurimobil tools. 6 March 2013 Mirjam Egli Cuenat, Kristin Brogan, Anna Czura, Chantal Muller, Katharina Höchle Meier. "PluriMobil: Begleitung des sprachlichen und interkulturellen Lernens in Mobilitätsaufenthalten bei Lernenden und (angehenden) Lehrpersonen." Der Verein Europäisches Fremdsprachenzentrum in Österreich in Graz. 14 May - 11 June 2013 Anna Czura. PluriMobil - intercultural and linguistic preparation for mobility. The ten-hour workshop for student teachers at the Department of English Studies, University of Wrocław, aimed to familiarise the paraticipants with the objectives and training materials developed in the course of the PluriMobil project. This project aims to integrate, adapt and apply the PluriMobil tools at the Liechtenstein Gymnasium to promote sustainable and more efficient learning in language stays of students.